British Columbia’s Saint Mary River flows out of the Purcell Mountains – this beautiful river delights the fly fisher for its entire length. Like the Elk River, the Saint Mary River has a lake at the top that buffers flows and minimizes scouring during runoff. It’s also one of the most scenic floats we offer. To the west, the towering Purcell Range; downstream to the east, the vertical spires of The Steeples, backside of the Rocky Mountain Range. Along the way you float under Hoodoos which the river has eroded and formed over the millennia. 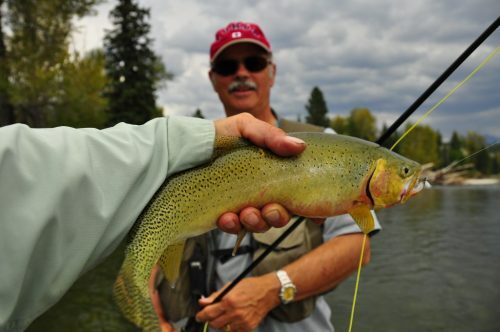 The Saint Mary River is home to a very good population of westslope cutthroat trout, rainbow trout, cuttbows, bull trout and the occasional Eastern brook trout. For about a decade now we’ve been introducing our fly fishing clients to this remarkable fishery, and we cannot say enough about it. 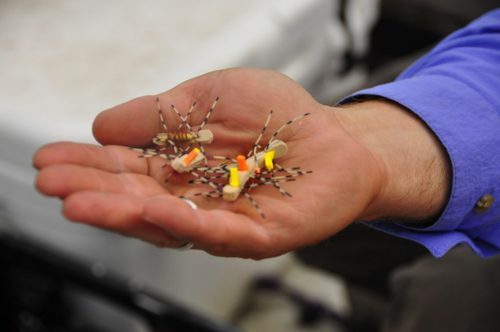 Like the Elk River, anglers will find when fly-fishing The Saint Mary River that it is a dry-fly fisher’s paradise. Although the average fish size is smaller than on the Elk River, the Saint Mary River makes up for it in numbers. 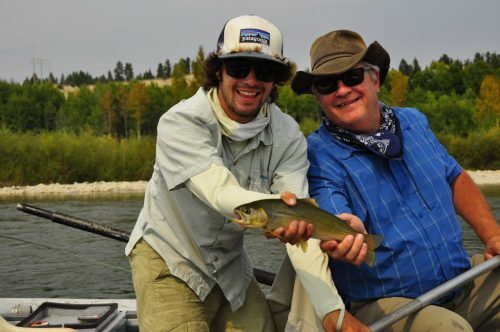 Josh one our Saint Mary River Fly-Fishing Guides with a “Cutty” & happy client. During the past few seasons we’ve been focusing our attention on the 2 bottom stretches of this river, where we’ve found the fish to be larger and the river more fertile as it’s had a chance to warm up and collect some great little tributaries along the way. 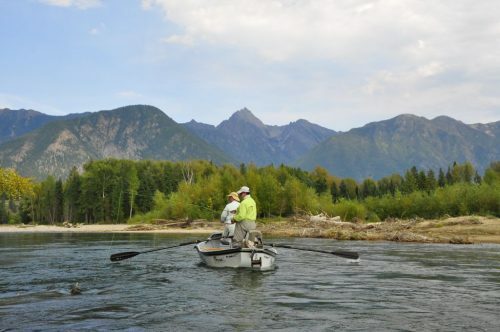 As with drift boat fishing anywhere, the key on this river is to get the longest drag-free drift possible, which can be easily obtained by casting 45-degrees downstream of the boat. Like the Elk, this is classic Western style dry-fly fishing at its finest. During non-hatch periods we recommend attractor type patterns; when the hatches do start we re-rig and use more hatch-specific imitations, and the hatches are strong. Throughout July, Golden Stones, Green Drakes, caddis and PMDs are present; August brings out hoppers, Flavs (Little Western Green Drakes), Yellow and Lime Sallies, and the occasional PMD. Come late August and thru September, the mix is largely Blue-winged Olives, October Caddis and Red Quills. Streamer fishing can also be very productive and very thrilling – especially when a monster bull trout eats your Clouser! The St. Mary River is definitely a “must do” and we offer this trip as a single day from Fernie or as part of a multi-river package. see below for the S.E. BC Hatch Chart. 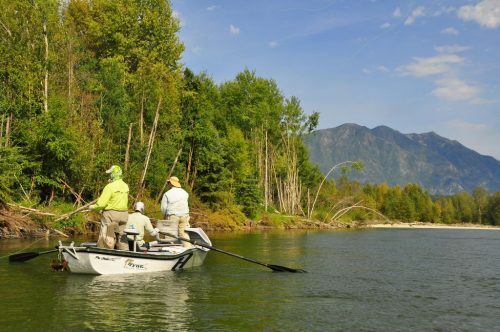 Over the past several seasons ,Dave Brown Outfitters has offered guided Fly-fishing trips out of our Fernie B.C. location. 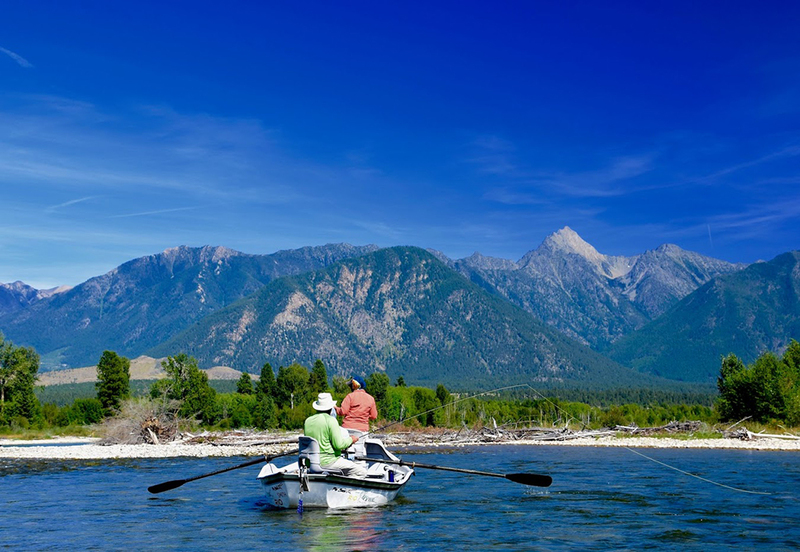 We are an hour away from this remarkable river and consider it a must do for Anglers fishing the area.Our Saint Mary River Fly-fishing Guides use drift boats as opposed to rafts, which makes for a better fly-fishing platform. The St. Mary River is an hour from Fernie B.C. and Tight Lines Lodge.